Should Your Parent Be Thinking about Their End of Life Now? Planning for the future can be one of the most difficult things you do as a family caregiver, but also one of the most important. 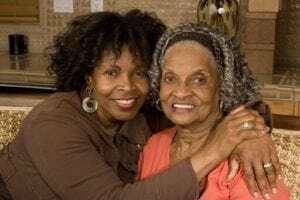 You don’t want to think about the end of your parent’s life, but making it a part of your planning now is vital for helping both of you feel more confident and secure as you move forward with your care efforts. Homecare Mooresville NC – Should Your Parent Be Thinking about Their End of Life Now? Taking away the “mystery” feeling of this issue. Confronting it honestly, openly, and without hesitation takes away the fear and taboo of this topic. Opening up about it allows both of you to talk about this issue honestly, express your thoughts and emotions, and make decisions confidently. Talk about treatment options. The end of your parent’s life may involve the need to make many treatment-related decisions. From hospice to resuscitation to life support, these are very personal decisions and it is important to know what your parent wants so you can honor those wishes when the time comes. This also makes it easier for you to make the decisions so you don’t have to worry during this already difficult time. Make legal arrangements. Depending on what your senior is dealing with as they age, there may be the need for you to make sensitive decisions when the end of their life arrives. Talking about this situation now allows them to make legal arrangements to allow you to handle these decisions legally and easily. Wills, living directives, health directives, and even power of attorney can all come into play in different situations. Go to a lawyer together to discuss these needs, and make the decision that is right for both of you. Starting homecare can be one of the most nurturing and meaningful decisions you make as a family caregiver. Introducing a homecare services provider into your usual care routine with your aging parent does not mean you don’t want to care for your parent, or that you don’t care about the quality of care they receive. Instead, having this homecare as a part of your approach is a way to show your parent how much you love them, and that you want them to have everything they need, and enjoy their life as they age in place. Customized services from a homecare provider can include safe and reliable transportation, meal preparation, physical assistance to manage mobility issues, medication reminders, assistance with housekeeping tasks, and more. If you or an aging loved one are considering Homecare Services in Mooresville NC, please contact the caring staff at TenderHearted Home Care today. (704) 612-4132.